It's been a while since I had ran the marathon distance. 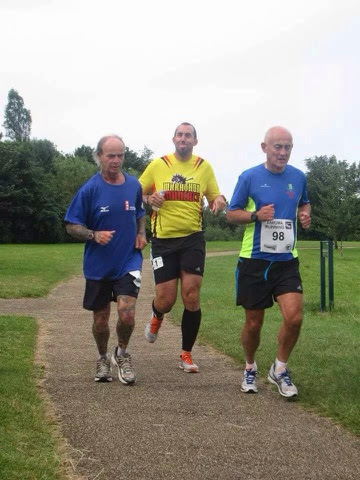 In fact, it was my DNF on the Centurion Runnings Thames Path 100 on the 3rd May. Covering 31.31 miles before an ITB injured forced me out. May and the start of June weren't the greatest weeks of my short running career. ITB and Stomach issues causing problems. Thankfully, things started to change mid June. I've learnt a lot about the powers of rest, recovery, speed work, strength work and core work. To many junk miles ran. Training needed a shake up. After discussing my training and running with a very good ultra runner and a few very good marathon runners, I binned the junk miles. Created a purpose for every training session. There's no doubt that I can run far. 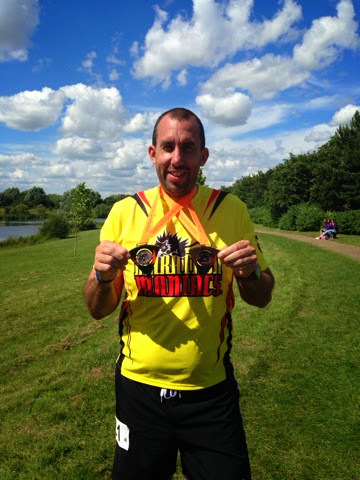 (Marathon distance-50miles) So why keep plodding out long runs?? I've introduced speed sessions and hill work. Neither really covering more than 8 miles. Developing speed and strength. It's amazing what speed you lose for a distance like 10k, thanks to marathon and ultra running. It's now starting to come back, and I feel stronger and more confident running further. So this weekend was the return of the marathon distance. I was also looking forward to seeing my running family that are typically at most Enigma Events. I was initially entered to do all three of the weekends events. Which comprised of a Saturday morning marathon, a Saturday afternoon 30 mile ultra and then a Sunday marathon. But, as you can guess from the headline, I only did the two marathons. More about that later. Saturday morning was an early start. Up at 5am. Plan to be on the road before 6. 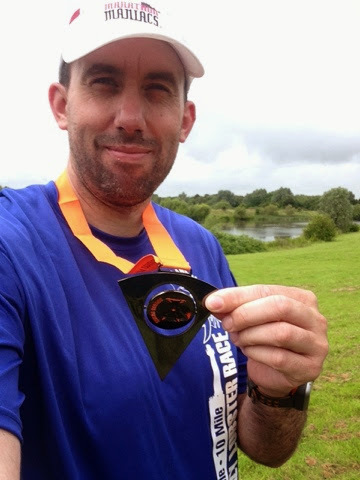 The first marathon was due to start at 8.15am, and with the British Grand Prix just up the road from Milton Keynes, I was keen to avoid any traffic. Turns out I had a good run and was at Caldecotte for 7.15am. Picking up my race number, I was number 1! I've been 2 twice, but now number 1. Not that it means a thing, maybe keenness to enter the race?! I had lots of fluids and food packed up in a cool box that I left at the aid station. Then said hello to the running family. Good to be around such inspirational runners. Lots of 100 marathon club runners, world record holders, 10in10ers. All very warm and friendly individuals! I always planned to run the first marathon around 5-5.15hrs. Giving me a good one hour break before the 30 miler. So a steady 12min/miles would be perfect. But, in true running fashion I set off far quicker, even quicker than 10 min/miles, which would bring in a pb! I decided not to panic, I was running strong, comfortable and under no real stress. I was able to chat with others, so stayed with it. I was with Paul and Caroline crossing through halfway at 2.07hrs. A good comfortable and enjoyable first half. I decided not long after I had earned a little break and eased the pace off a little. Still in front of the 12min/mile pace. It was starting to get warm and I didn't want to tax the body with the 30 miler coming later. I started to wish for the drizzle to come back. Not long after wishing this, we had a heavy rain shower! Be careful what you wish for. I got my rain jacket on, only for a mile later to take it off again! Bloody typical! I started my last lap at the 4 hour point. With 3.35 miles to go, I could walk this home. Well I could've of, but I faffed getting food from my box. So a run walk last lap it was. The competitive side of me decided to make sure I was under 5hrs. And that's what I did. Probably my most comfortable paced marathon to date. First time under 5hrs since Feb and I felt great! Finishing in 4.56! What could I have done as a single marathon?? With over an hours break, I took on more food and drink. I got a nice leg loosener massage if Vixx. Changed my top and put my calf guards on. It was time for the 30! With friends turning up to run the 30 only, it was nice to see some new friendly faces joining us. A fair few were attempting the double or triple. I started off fine. Legs still felt strong. But then a rare moment of sensible reality hit. I started to question why I was running the 30. I had had a really good morning marathon, the first one in two months. A come back marathon from the previous problems. I was aware that it would probably take me around 6.30-7hrs. Not finishing until 9.30pm. I needed to check in to my hotel, have dinner, bath and try to recover before Sundays marathon. Was this to much on my come back? Would I undo the good training I have done? Will this set me back in my North Downs Way 100 training? Was I actually enjoying it? I decide to stop at the end of the lap. I knew at the time it was the right decision, and writing this now, a few days later, I still know it was. But part of me questions that decision. The positive was, my legs felt rather good! I got to support my running family. I got to check into the hotel, shower eat KFC and TGI Fridays. Unfortunately, the very tough challenge took a fair few friends out of the race. And some went on to complete their first ultras! Well done Lorraine and Chris! Sorry I wasn't there to see you finish. There was a steak with my name on it!! I'd like to say I got a good nights sleep, unfortunately I didn't. The only down side of my recovery. Day two, I got myself a McDs breakfast, conscious that my body still needed calories to burn! I average around 3500 calories per marathon. So the 900 at breakfast was only going to go so far. I set off at a steady pace thinking about 10min/miles until I faded. I found I got into a nice comfortable pace chatting with Brian and Malcolm (in the photo above). We stayed together for a few laps, then Malcolm and myself for a further lap and a half. Brian just behind us after a toilet break. At halfway I was aware of the heaviness in my legs. My stride had shortened. So a leg stretching walk was required. We were running the same marathon route but in reverse, so I developed a run walk strategy based on the courses profile. Not that it changes much with only 202ft of elevation over the marathon distance! With 40+ miles in the legs, every incline made the legs moan and the heart rate rise. With three laps to go I caught Tiago who was having a well earned walk. He had ran both yesterday's races and had only two laps to go. This opportunity doesn't come up often, so I walked and chatted with him. We've ran many events, but never had the chance to chat. It was good to chat and the best part of another lap was completed. I needed to get running again and Tiago did too, so of we trotted, me slower than Tiago. I ran walked the next lap, pushing to catch up with May, Kate, Jo and Toks. With one lap to go I was with them. Time for more socialising. We had a good chat and catchup. I was tired but happy. I still felt strong but naturally low on energy. Crossing over the final bridge a few hundred metres from the end, I kept running, Jo and May didn't want to be lapped and ran with me. Unfairly, I knew they wouldn't run the little hill, but May did!! So a sprint finish it was, and to top it off, I managed to throw my empty water bottle in the bin as I sprinted past! Another great marathon, very social, finishing in 5.40! I felt good, the legs felt good. I was back!! Thank you so much to Karen and Foxy for putting on such great running events that are far more than marathons. It's a community, no, it's a family! A loving family. Thank you Paul for the photo of Brian, Malcolm and myself. Marathons 33 & 34 done. 17 this year!